Abdel Hamid El-Haggan, the governor of Qena governorate in Upper Egypt, told Ahram Arabic news website on Sunday that the governorate has declined to host Doum's third story telling festival. The reasons that El-Haggan listed are because of the national projects that government officials are busy implementing during the same month, in addition to the restoration project currently being implemented in the national cultural center of Qena. 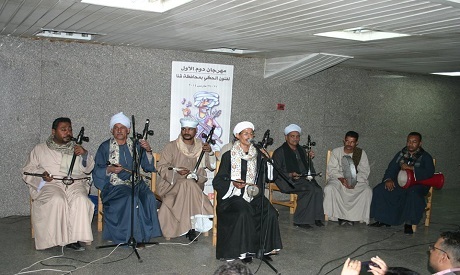 Qena has successfully hosted the festival for consecutive years, when circumstances were fitting, though El-Haggan pointed out that some cultural events are still running in the governorate such as the memorial of poet Mahmoud Maghrabi. Doum Cultural foundation, initiated and headed by prominent novelist Khaled El-Khamisi, announced the cancellation of the annual story telling festival that was supposed to run from 8 until 11 April. The announcement stated that Helmy el Namnam, the culture minister, conveyed to El-Khamisy that governor of Qena, El-Haggan, declined to host third story telling festival. Consequently, Doum issued an apology to the 111 artists that were supposed to take part in the festival.